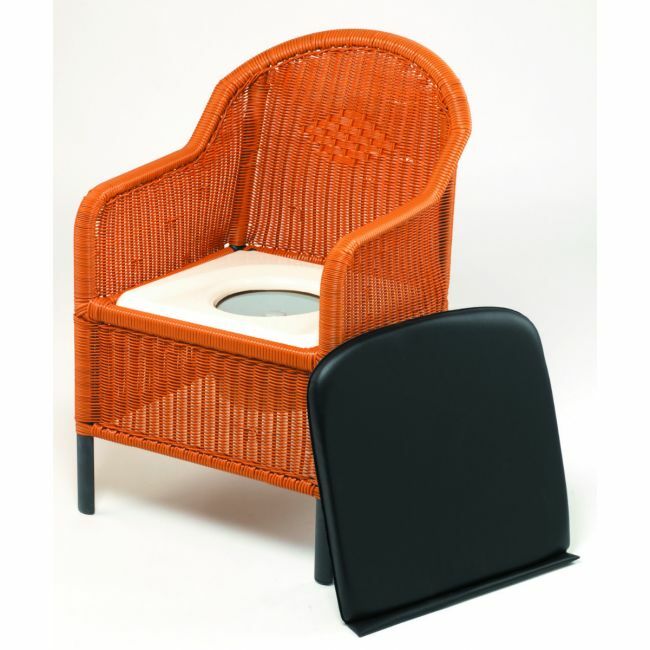 Eliminate restrictions with a traditional style wicker commode chair and pot that is comfortable and practical. The wicker commode chair is a stylish, comfortable commode that provides additional support and comfort with its vinyl waterproof cushion. The cushion can easily be lifted to reveal a conventional style lavatory seat and pot with a lid. The pot can be removed by sliding it out of the back of the chair.